Onederz Sihanoukville is perfectly located in the very centre of Sihanoukville. We are located in 3 mins walking distance from 'serendipity road' the best eating and drinking area in the city. It will only take 7 mins to serendipity beach and ferry to islands. If you are looking for a fun, clean, comfortable, well designed and friendly place to stay, OneStop Hostel would be the best choice. OneStop Hostel is a premium hostel with swimming pool located near serendipity beach, the best eating and drinking area in Sihanoukville. It has everything you need and more. Sihanoukville is not a city to stay in to long this hostel is worth staying in a bit longer. It has a nice swimming pool, cheap food and it's clean! Stayed only 1 night. Dorm rooms are nice. Every bed has its own readling light and power socket. Beds were comfy. Staff was friendly. Common area very small but i didn't try to socialise as I slept from check in to check out pretty much. We spent a night here on our way to Koh Rong. Friendly staff. Boot tickets could be booked at the reception. Swimming pool was nice, facilities and the rooms were clean. Rooms were a bit small and warm but other than that nothing wrong with this hostel. Propere kamers, douches zijn goed maar lag toen wel veel zand in. Behulpzaam personeel, regelt alles voor je! & ze hebben pannenkoeken als ontbijt! Sehr schönes Hostel mit ausreichend großen Zimmern. Die Lage ist ganz okay, jedoch wird direkt daneben ein riesiges Haus gebaut, was auch in den dorms zu hören war. Im Vergleich mit den beiden onederz-Hostel in siem reap und Phnom penh ist dieses das kleinste. Nice staff. Warm shower. Clean rooms. Nice breakfast options. 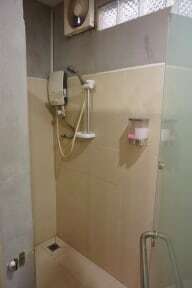 The location of this hostel is good, it’s not too far from the beaches and the hostel is not a party place. They serve good food and drinks and the pool was nice too. Staff was helpful and friendly. I didn’t find the rooms and especially the bathrooms clean at all, they’d spray some fresh air refreshment in the bedrooms and that’s about it also the bathrooms got really dirty during the day. I stayed here for about 5 nights and it had the strangest travelers I’ve ever met. Really nice hostel. Bf not included. Very new and clean and modern which I liked a lot.